WHAT IS WORSE? HAVING A BIG PROBLEM AND PEOPLE CARE. 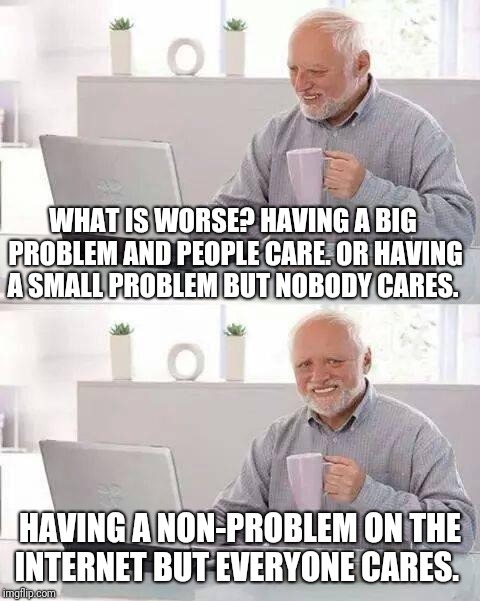 OR HAVING A SMALL PROBLEM BUT NOBODY CARES. 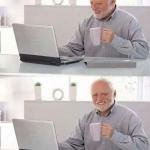 HAVING A NON-PROBLEM ON THE INTERNET BUT EVERYONE CARES.